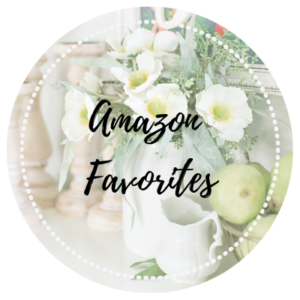 Gluten Free and Nut Free Granola - Jenuine Home - Interior design, decor, diy for your home and Instant Pot Creations for your tummy. 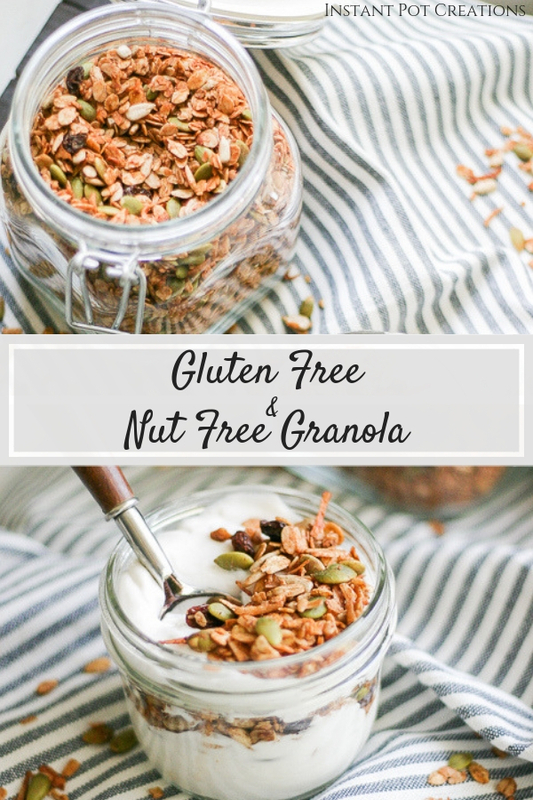 This gluten and nut free granola was created because of how difficult it was for me to find store bought varieties that are safe for my littles to eat. It’s almost impossible to find a nut free granola let alone one that is also gluten free and organic too! 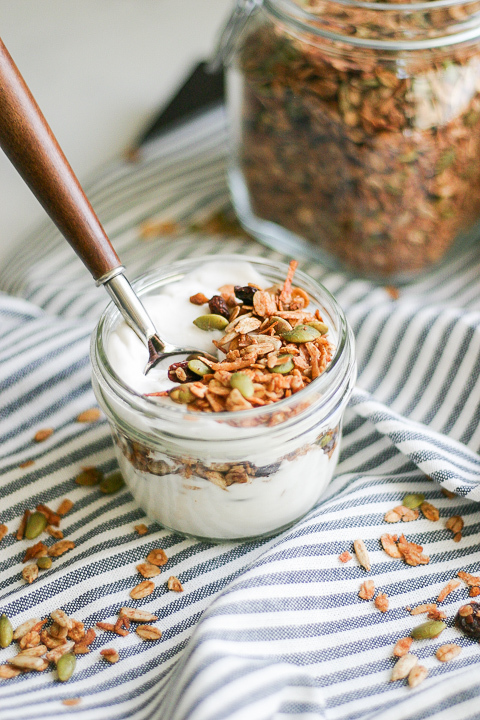 I also understand the rush of busy mornings and promise that making this homemade granola the night before is so worth time to make! My 9 yr old likes to help measure everything out and stir it together. Granola is pretty forgiving and not super picky about using exact amounts which makes it easier for me to allow little helpers make it. Don’t forget the favorite add-in, chocolate! Make sure to add after it’s done baking and cooling. 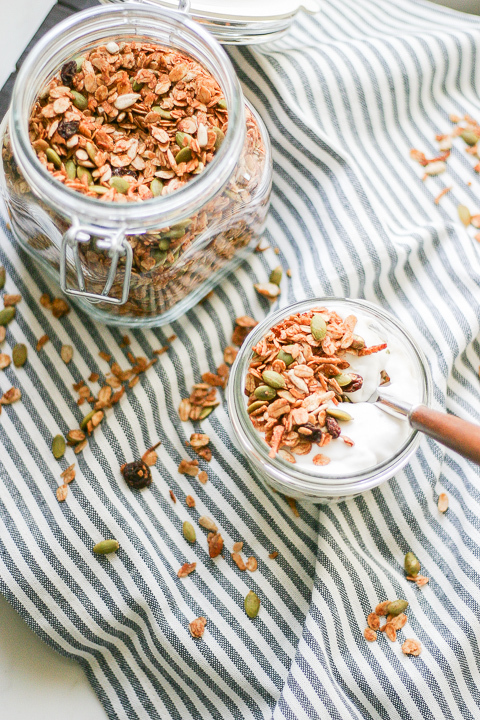 Fill up a bowl of granola and pour your favorite milk (or non dairy milk) over it for breakfast. Sprinkle over your favorite yogurt or coconut yogurt (shown) for that yummy, crunchy add-in. Pack granola in school lunches for a safe classroom nut-free snack. Toss a bag full into your backpack for a energizing snack during hiking or outdoor activities. Add gluten free granola on top of a salad for crunchy flavor and healthy added fats. Granola sprinkled over baked apples or fruit makes a delicious cobbler like dessert. Or if you’re feeling a bit more indulgent, nut free granola makes an excellent topping for ice cream. HOW LONG DOES GRANOLA STAY FRESH? We like to store our nut free granola in an air tight glass gar with a lid. This keeps the granola crispy to eat. 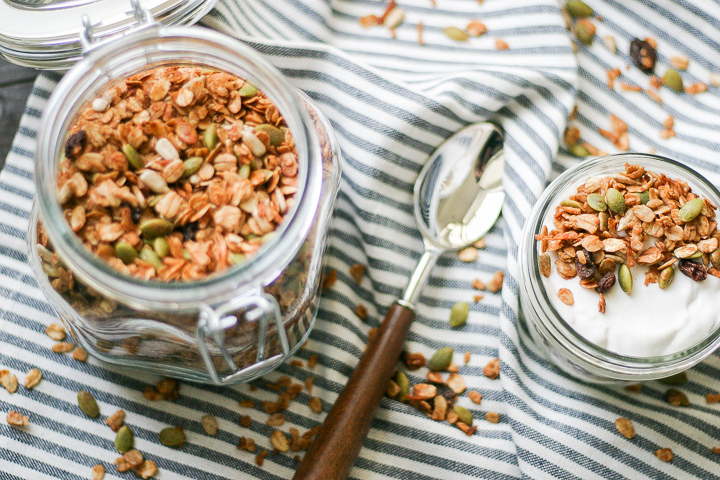 We prefer storing granola in a container that is large enough that you can fit a measuring cup inside to use for scooping out. Gluten free granola will keep for several weeks in an air tight container, in a dark/cool cupboard. Did you also know that you can freeze granola? Make sure you store it after it’s completely cooled and in an air tight bag. I admit that we’ve never had a batch of granola last more than 2 days in our household. The kids squeal with excitement whenever I make up a new batch which is followed by each kid (even my hubby) begging to have their own small bowlful immediately upon cooling. They just can’t wait until the morning. 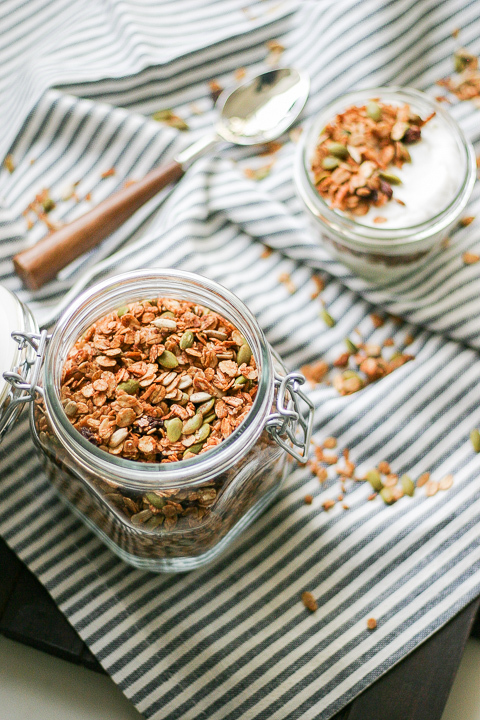 I make granola once a week but I’m thinking I probably should double this recipe so that we can have it last longer through the week! Gluten free and Nut Free Granola is perfectly crispy and naturally sweetened with honey. The addition of pumpkin and sunflower seeds gives you the nutty crunch and flavor but safe for those with allergies! In a large bowl combine all ingredients in order listed. Stir well to distribute oil and honey throughout the oats. Line a large baking sheet with parchment paper or silicone baking mat. Spread granola mixture evenly across the baking sheet. Bake in oven for 10 minutes. Remove from oven and stir granola. Spread granola evenly across pan again and return to oven to bake for another 10 minutes. Remove granola from oven and place baking sheet on a cooling rack. Allow to cool completely (about 15 minutes). It will crisp up as it cools. 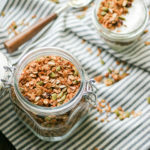 Break apart granola into bite size pieces and store in an air tight container. Serve as breakfast in a bowl with your favorite milk, or non dairy milk. Also makes a perfect topping over your favorite yogurt. Or pack it in a lunch for the perfect treat or snack. Dried fruit of choice, golden raisins in place of regular raisins, 1/4 cup hemp hearts, 3 tbsp chia seeds, 2 tbsp flax meal and chocolate pieces ( but add chocolate only after granola is baked a cooled). Swap out cinnamon for 2 tsp pumpkin pie spice. Substitute maple syrup for honey.